Kuwaiti writer says Israel is a legitimate sovereign state, calls for alliance with it in order to "annihilate" Hezbollah. A Kuwaiti writer recently said that Israel was an independent and legitimate sovereign state and that there was no occupation, but rather "a people returning to its promised land." The writer, Abdullah Al-Hadlaq, made the comments in an interview which was broadcast by the Kuwaiti Alrai TV channel on November 19 and translated by the Middle East Research Media Institute (MEMRI). Al-Hadlaq also called for a three-way alliance of Israel, Arab Gulf states and the United States in order to “annihilate Hezbollah”. MEMRI noted that the interview caused an uproar in the Arab media and social networks. "When the State of Israel was established in 1948, there was no state called 'Palestine,'" said Al-Hadlaq in the interview. "Like it or not, Israel is an independent sovereign state. It exists, and it has a seat at the United Nations, and most peace-loving and democratic countries recognize it. The group of states that do not recognize Israel are the countries of tyranny and oppression,” he continued. “Why shouldn't we live in peaceful coexistence with Israel, and cooperate with it against my great enemy, which is the Persian regime?...I support the establishment of a three-way alliance, consisting of Israel, the Arab Gulf states, and America, in order to annihilate Hezbollah beyond resurrection," he added. The interview comes amid reports that Israel is getting closer to Saudi Arabia, Kuwait’s ally. The Lebanese newspaper Al-Akhbar reported last week that the Saudi government is weighing the possible normalization of relations with Israel ahead of a planned Middle East peace program by the Trump administration which aims to not only secure a final status agreement between Israel and the Palestinian Authority, but lead to recognition of the Jewish state by the larger Arab world. Also last week, the British Daily Mail newspaper reported that Saudi King Salman plans to step down and announce his son as his successor within a week. The report said that once the Crown Prince becomes king, he would enlist the help of the Israeli military to crush Hezbollah, Iran's proxy in Lebanon. Saudi Foreign Minister Adel Al-Jubeir rejected the reports this week, saying there are no relations between Saudi Arabia and Israel and the two countries could not have relations until Israel adopts the 2002 Arab peace initiative. 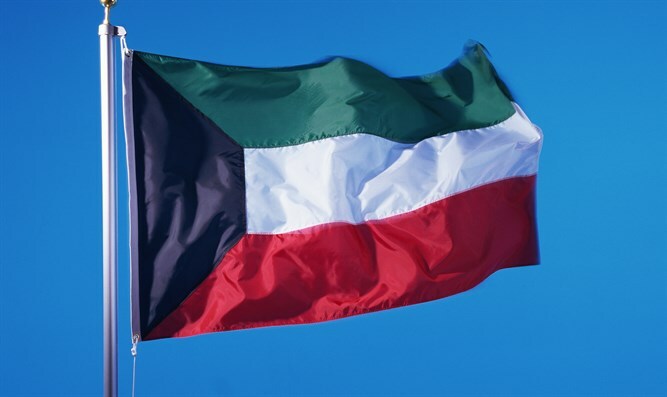 Like Saudi Arabia, Kuwait does not recognize Israel and, in fact, was in the headlines this past week over the refusal of its national airline, Kuwait Airways, to transport an Israeli citizen on a flight originating in Frankfurt.